Take in some of the most scenic and fun-filled air tours in Pennsylvania after browsing through Fun Pennsylvania's outdoor adventure guide. Find airplane rides in Pennsylvania that you can enjoy with the entire family. Marvel at Laurel Highlands from 1,000 Feet in the Air! Originally a flight training facility, Laurel Aviation is now home to some of the coolest air tours in Pennsylvania! If you're looking for something fun and out of the ordinary, embark upon a ride you'll never forget and turn your dreams into reality. The Laurel Highlands is a popular area for hiking, mountain biking, hunting, and other great outdoor activities. Experience the beautiful Highlands scenery from a thousand feet above! For affordable prices, you can order daytime or sunset flights that last 1/2 hour or longer. If you want, you can even fly over your own home and grab some awesome aerial photographs! Visit Reigle Airport / Reigle Aviation PA or Contact them for the perfect airplane ride to fit your needs! 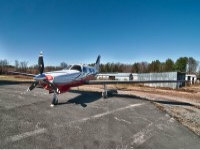 Established in 1942 by Chas and Ada Reigle, Reigle Aviation is one of the affordable and fulfilling Airplane Rides in PA. Its aspiration is to provide access to the sky aviation enthusiasts. If you are looking for genuine, friendly, and fun filled airplane rides Reigle's family-owned flight operation base is a place for comfort and familiar faces for all your needs. Since its inception, four generations down the line of service, Reigle Aviation airfield has continued to fulfill its clients' needs. This has been facilitated by its commitment of service to its clients through provision of fascinating and fulfilling services. If you enjoy the thrill of going up the sky, then this is the right place for your airplane rides! Welcome to Van Sant Airport for magnificent and breathe taking Airplane Rides in PA! Looking for one of the best airplane rides in PA? Look no more! Visit Van Sant Airport today for magnificent and breath taking views. 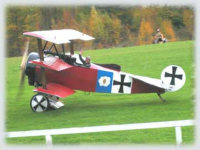 It is here where you will find flying machines of the finest tradition in aviation history. Or take that thrill ride that you can't get in any amusement park. 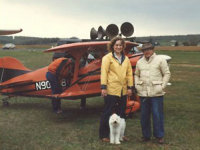 The Memories of an open cockpit Biplane, a Piper Cub, Aeronca Champ, Taylor Craft or a Glider ride, will last you a lifetime. Complete with leather jackets, helmets & goggles, you'll feel like it's the twenties or thirties barnstorming with Lindbergh or asking to fly with Waldo Pepper's Flying Circus! Please come and be a part of the new and old family of friends at this historic airfield called Van Sant Airport, the best airplane ride providers in Pennsylvania. Elbow Street Aviation Service, Inc.
Visit Elbow Street Aviation Service, Inc. for the best Air Plane rides in PA! 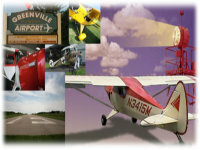 Elbow Street Aviation Service, Inc., Greenville Municipal Airport, PA is municipal Airport located near Pymatuning State Park and Conneaut Lake which are both hotbeds of tourist activity year-round. Fishing is great on both lakes along with hiking, hunting, and boating during the summer. Ice-fisherman abounds on Conneaut Lake during the winter alongside the snowmobilers. 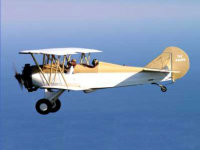 Visit The Old Rhinebeck Aerodrome for the most enjoyable airplane rides in PA! The Old Rhinebeck Aerodrome is a true "living" museum with antique airplane riding activities. It is located in Rhinebeck, PA. It presents some of the largest collections of early aeroplanes in the world, most of which takes to the air during their weekend airshows. At The Old Rhinebeck Aerodrome there are aeroplanes, automobiles, motorcycles, early engines and memorabilia from as early as 1900-1935. Apart from airshows, there are four museum buildings displaying aircraft form the Pioneer Era, World War I and the Lindbergh/Barnstorming era, the golden years of aviation in PA. The Old Rhinebeck Aerodrome weekend air shows run from mid-June through mid-October. During these weekends, the Aerodrome turns back the hands of time and brings back the years of early aviation. With us the early aviation is brought back to life with the roar of rotary engines, a great entertainment for all ages both men and women in PA.
Visit Light Flight Hot Air Balloons, Inc. & Barnstormer Aero hot air balloon rides and open cockpit biplane flight in PA! Light Flight Hot Air Balloons, Inc. & Barnstormer Aero has been providing hot air balloon rides and open cockpit biplane flights in PA for over 30 years. It is a full time, hot air balloon ride and biplane Flight Company. There is no other company in the area that has more experience or a better reputation for excellence in customer service and safety. Their pilots have over 60 combined years of hot air balloon and airplane flight experience. They have logged over 5,000 accident free balloon flight hours. 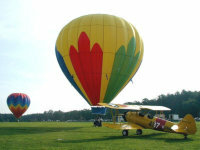 Visit them today for fun-filled hot air balloon rides and open cockpit biplane flight, all in PA! Moyer Aviation Inc. for the best Airplane Rides in PA! 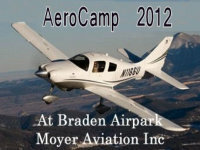 Moyer Aviation is located in Easton, Pennsylvania at Braden Airpark (N43). They offer a full range of aviation services with easy access to the Northeast including Pennsylvania, New Jersey, New York City, Nantucket, Martha's Vineyard, Boston and Maine. Many other places are also within easy reach of their Charter Aircraft - Virginia, the Carolinas, Washington D.C., Vermont, New Hampshire, even Niagara Falls in PA! 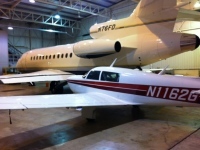 Their Charter pilots are always flying clients in their aircraft to different places for business or pleasure for a variety of reasons and destinations in PA. Their hard working staffs in the Maintenance Department are always on call, making sure that their aircraft are working perfectly with very little or no down time for their pilots, charters and students. Visit them today for the best Airplane rides in PA! Come join Cherry Ridge Airport for fun Air Plane Rides in PA! Cherry Ridge Airport is a privately owned and operated airport in scenic Wayne County PA. It is easy access to Hawley, Honesdale, Lake Wallenpaupack, and Fairview Lake. Short flight time to North Jersey (metro-New York City area), Lehigh Valley and Philadelphia. A restaurant is on site with terrific views, overlooking the runway and a pond. The airport has direct access to contiguous airpark containing 30 residential lots and approximately 18 homes. Confidential financials are available upon request. Cherry Ridge Airport has everything a hobbyist and a serious Air Plane Rider needs. It has a full service maintenance hangar, self-service fuel tanks, restaurant on the Air Park, and flight school. To get more information on all of these services, visit them today and you will experience the best Air Plane Rides in PA!